Born in 1887. Zoologist but also philosopher, educator and writer. He played a leading part in the creation of UNESCO. The pamphlet he published on taking up office, UNESCO, Its purpose and its philosophy, aroused impassioned but constructive controversy at the time. 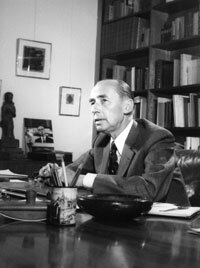 For almost twenty years (1950-1969) he was Vice-President of the International Commission for the History of the Scientific and Cultural Development of Mankind, and was particularly active in establishing a number of major non-governmental organizations. He died in 1975. Born in 1903. Head of the Libraries Department of the Ministry of Education from 1922 to 1924 before being appointed Professor of French Literature at the University of Mexico City. In 1929, he joined the diplomatic service, in which he occupied various posts in Europe. 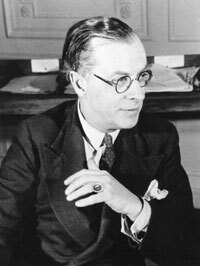 Under-secretary for Foreign Affairs (1940-1943) then Minister of Education (1943-1946), in which capacity he launched a campaign on an unprecedented scale to combat illiteracy. 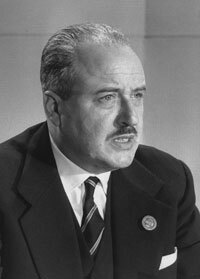 Appointed Minister of Foreign Affairs in 1946, he had the previous year led the Mexican delegation to the London conference establishing UNESCO. Appointed Director-General in 1948, he resigned four years later. He died in 1974. 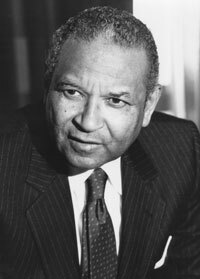 Born in Kentucky in 1906, John W. Taylor had a doctorate in philosophy and taught in leading universities in Europe and the U.S. As President of the University of Louisville from 1947 to 1949, he helped end racial segregation and pioneered community education programmes. Taylor became Deputy Director-General of UNESCO in 1950 and was appointed acting DG upon the resignation of Jaime Torres Bodet in 1952. He died in 2001. Born in Texas in 1902. 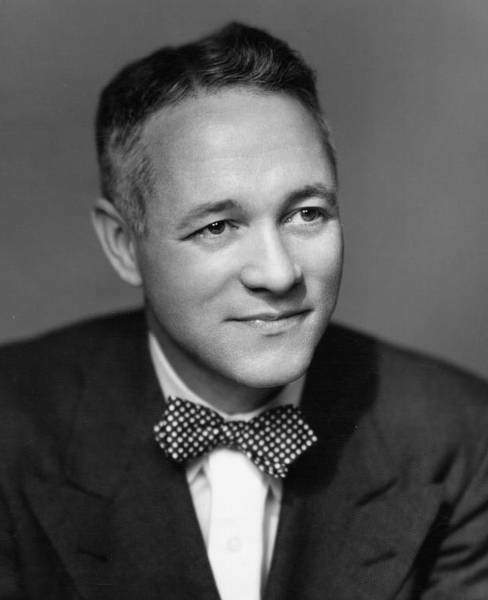 Specialist in political science and international relations, he organized and directed the Historical Records Survey for the Works Project Administration, before joining the famous Library of Congress. Adviser to the United States delegation from the second to the seventh sessions of the General Conference. 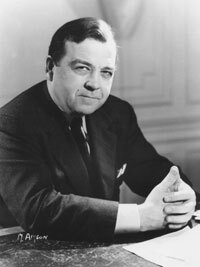 He occupied a seat on the Executive Board with effect from 1949, before being appointed Director-General in 1953. He died in 1981. Born in 1910. Doctor in Law and an anti-fascist lawyer, he quickly took an interest in social and educational problems and international co-operation. After the collapse of Fascism he took up a senior post in banking and became Secretary-General, and subsequently Chairman of the Catholic Institute for Social activity and of Italy’s Catholic Action (1944-1952). Member of UNESCO’s Executive Board from 1952 to 1956 and its Chairman from 1956 to 1958, he was appointed Director-General in 1958 but resigned on health grounds in 1961. He died in 1986. Born in 1905. Professor of Philosophy. Cultural Attaché in London (1936-1939). After teaching in Morocco (1940-1942) he occupied a managerial post in the France-Afrique press agency in Algiers, before joining the Executive Office of the Resident-General in Rabat. In 1946 he entered UNESCO as Chief, Division of Free Flow of Information. 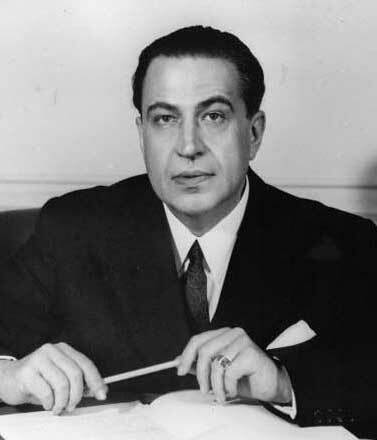 In 1949 Jaime Torres Bodet appointed him Director of his Executive Office. In 1954 he became Assistant Director-General and was Unesco’s representative at UN Headquarters from 1955 to 1958. Promoted Deputy Director-General in 1959, Acting Director-General in 1961, and in 1962 Director-General, for two successive mandates. He died in 1975. Born in 1921. After completing his higher education in Paris, he taught history and geography in Senegal, where he directed basic education from 1952 to 1957. Minister of Education and Culture during his country’s transitional period of internal autonomy (1957-1958), he resigned in order to engage in the struggle for independence. After this had been achieved, he became Minister of Education (1966-1968) and then of Cultural and Youth Affairs (1968-1970) and was a member of the National Assembly of Senegal. Elected to the Executive Board in 1966, he became Assistant Director-General for Education in 1970. Appointed Director-General in 1974, he was reappointed for a second term of office in 1980. Born in 1934. PhD in Pharmacy. Director of the Severo Ochoa Molecular Biology Centre (Madrid, 1973-1978). Under-secretary of the Spanish Ministry of Education and Science (1974-1976). A member of Parliament and Chairman of the Parliamentary Commission for Education and Science (1977-1978) he later became Adviser to the Prime Minister on these questions. 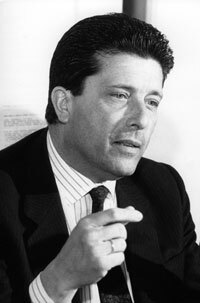 Minister of Education and Science (1981-1982), in 1987 he was elected a Member of the European Parliament. After being Deputy Director-General of UNESCO from 1978 to 1981, he returned to the Organization as Special Adviser to the Director-General (1983-1984), whom he succeeded in 1987. 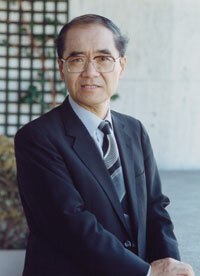 Koïchiro Matsuura of Japan was appointed by the Organization's General Conference on November 12 1999 to serve a six-year term as Director-General of UNESCO. Mr Matsuura, born in Tokyo in 1937, served as Ambassador of Japan to France from 1994 to 1999. He was educated at the Law Faculty of the University of Tokyo and at the Faculty of Economics of Haverford College (Pennsylvania, U.S.A.) and began his diplomatic career in 1959. Posts held by Mr Matsuura include those of Director-General of the Economic Co-operation Bureau of Japan's Ministry of Foreign Affairs (1988); Director-General of the North American Affairs Bureau, Ministry of Foreign Affairs (1990); Deputy Minister for Foreign Affairs. He also served as the Chairperson of UNESCO's World Heritage Committee for one year, until November 1999. 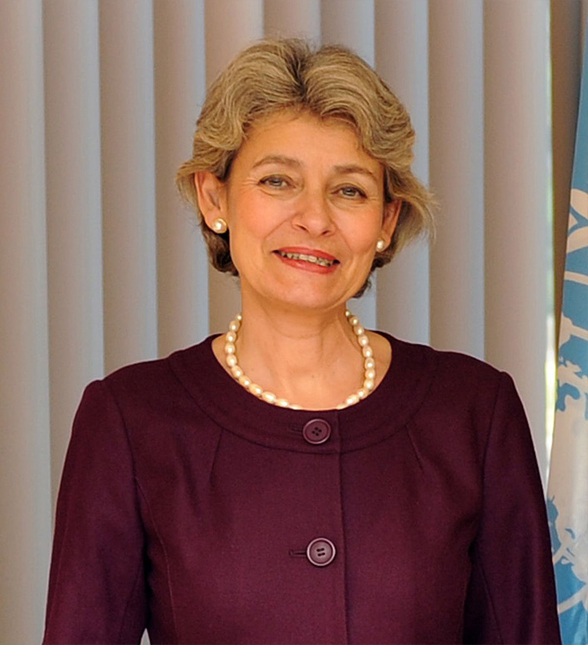 The Director-General, elected for four years, was Ambassador of the Republic of Bulgaria to France and Monaco, Personal Representative of the Bulgarian President to the "Organisation Internationale de la Francophonie" and Permanent Delegate to UNESCO from 2005 to 2009. Born in 1952, she obtained an MBA from the Moscow State Institute of International Relations and studied at the universities of Maryland and Harvard in the USA. During her long and distinguished career, she also served as Bulgaria's representative to the United Nations and as her country'’s Secretary of State for European integration and Foreign Minister. Ms Bokova has long promoted the transition to European integration. As Founder and Chairperson of the European Policy Forum, she worked to overcome divisions in Europe and promote the values of dialogue, diversity, human dignity and rights. 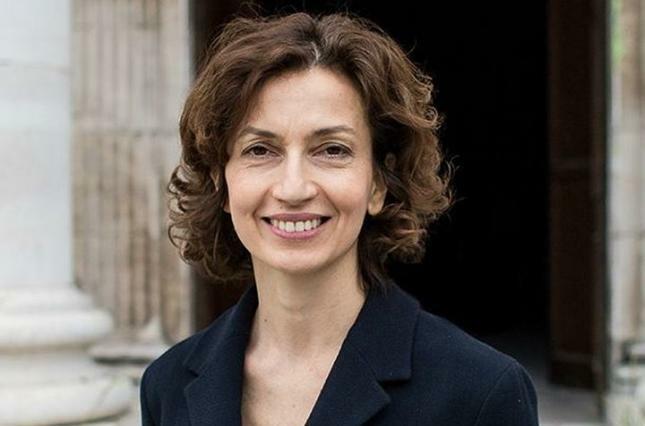 The General Conference of UNESCO appointed Audrey Azoulay (France) to the post of Director-General of the Organization on November 10, 2017. Ms Azoulay was nominated on 13 October to take the place of outgoing Director-General Irina Bokova (Bulgaria) by UNESCO’s Executive Board. Born in 1972, Ms Azoulay was France’s Minister of Culture and Communication from February 2016 to May 2017. She has occupied senior positions in France’s public broadcasting sector and then served as rapporteur to France’s public auditing authority, the Cour des comptes, and as a European Commission legislative expert on issues of culture and the media. Ms Azoulay served France’s National Cinema Centre (CNC), first as Deputy Audiovisual Director, then as Director of Financial and Legal Affairs, and finally as Deputy Director-General. She is a graduate of the Ecole Nationale d’Administration and the Paris Institut d’études politiques. Ms Azoulay also holds a Masters degree in Business Administration from the University of Lancaster (UK). Ms Azoulay is the 11th Director-General of UNESCO and the second woman to occupy this position. She took office on 15 November.